This year’s Multicultural Children’s Book Day, which celebrates diversity in children’s books, is on Friday, January 25. 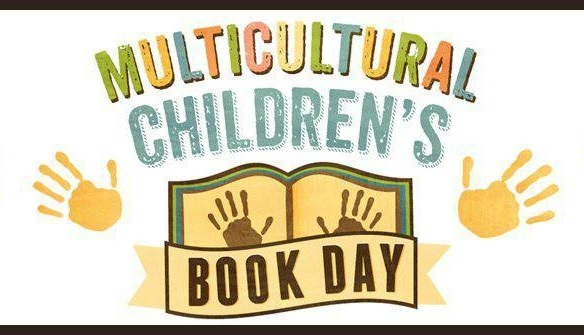 With a purpose to celebrate diversity in children’s literature and get more diverse books in American schools and classrooms, Multicultural Children’s Book Day was created five years ago as a non-profit initiative. The percentage of diverse books in schools and classrooms is estimated to be only 10% but is changing dramatically, thanks to the efforts of Valarie Budayr from Jump Into a Book and Mia Wenjen from PragmaticMom ,the co-founders of this endeavor. Celebrated every January, this non-profit initiative has grown leaps and bounds as a global event. In 2018, it trended #2 on Twitter and had 3.2 billion social media share impressions. This year’s event will be on January 25. Becky Flansburg from FranticMommy.com is the Project Manager for this year’s event. Several Indian American authors are part of this global event. Boston-based, Bharat Babies is a Gold Sponsor for MCBD 2019. Bharat Babies, founded by Sailaja Joshi, aims at filling the gap with board books and illustrated books that tell stories of India’s heritage for young children. Kitaab World, a publishing house as well as online bookstore for South Asian children’s books, is a Bronze sponsor for MCBD 2019. The Indian American writers participating at this event include Chitra Soundar, Milind Makwana, Anita Badhwar, Padma Venkatraman and Shoumi Sen.
To date, MCBD has gotten over 5,000 free diverse children’s and YA book into the hands of readers, parents, educators, and librarians. Look out for #ReadYourWorld on January 25, 2019, on Facebook, Twitter, Instagram, Pinterest to be part of this global event and support diversity in children’s literature across classrooms in America.